In and out: Gigi Maifredi. Bologna’s third Serie B stint started shortly after Gigi Maifredi’s departure. A dismal Serie A campaign saw them relegated in 1991. Maifredi returned after his Juventus dismissal, but was quickly out the door again as Bologna finished a poor 13th in Serie B (1991-92). By now the title-winning sides of yesterday were like ancient history, and a soul-destroying 92-93 saw Bologna relegated to Serie C1 again. Here begins a new era for football in Bologna. Bologna Football Club dissolved on June 19th, 1993 after years of financial trouble, but re-emerged as Bologna Football Club 1909 in Serie C1. The refounded side were allowed to keep their league place, and finished fourth in Serie C1’s Group A at the first time of asking. This meant another year in the doldrums (1994-95). The Rossoblu, however, had become almost unbeatable. Losing just once all season, Bologna stormed to the Serie C1 title with games to spare. On the last day of the season they stood 22 points clear of second-place Pistoiese, having accumulated 81 points and a +42 goal difference in 34 games. Bologna’s momentum continued. A water-tight defence helped them battle through Serie B in 1995-96, and they were promoted as champions by the season’s end. History suggested that Bologna were back where they belonged, and they justified this with a seventh-place Serie A finish in 1996-97. Legendary Azzurri forward Roberto Baggio joined the Rossoblu for a single season in 1997-98 and was a huge hit despite his advancing years. Baggio finished with a career-best 22 Serie A goals, firing Bologna to Intertoto Cup qualification and going on to star for Italy at the 1998 World Cup. The Divine Ponytail left for Inter after the World Cup, but his in Bologna remains one of his career’s most productive. Change was afoot for the Rossoblu. They won the Intertoto Cup to gain entry into 1998-99’s UEFA Cup. Coach Carlo Mazzone arrived in the dugout and another heroic forward, Giuseppe Signori, took Baggio’s place. Bologna finished ninth in Serie A but fared well in Europe. Victories over Sporting Lisbon, Real Betis, Slavia Prague and Olympique Lyon saw them march to the UEFA Cup semi-finals, which they lost to eventual winners Parma. 1999-00 saw new coach Sergio Buso sacked after just seven games in-charge. In came ex-player Francesco Guidolin, who led Bologna through their second-consecutive UEFA Cup campaign. The Rossoblu again lost to the competition’s eventual winners (Galatasary), but fell in the third round on this occasion. The Rossoblu were on a high, but fell to 11th (2002-03) and 12th (2003-04) in Serie A and struggled badly after Signori’s 2004 departure. A disastrous end to the 2004-05 campaign saw Bologna claim just 11 points from their last 15 games, forcing them into a relegation playoff with Parma. Bologna won the first leg 1-0, but were relegated after losing the home leg 2-0. 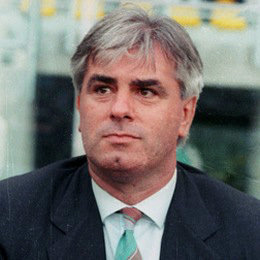 Down went Bologna, and in came Renzo Ulivieri who’d previously managed the club from 1994 to 1998. Majority shareholder Giuseppe Gazzoni Frascara left the Rossoblu and the club finished eighth, outside the playoff positions. Napoli, Genoa, and the Calciopoli-stricken Juventus made Serie B their home in 2006-07, severely limiting Bologna’s chances of promotion. They went one better than the previous year by finishing seventh, but still missed-out on the playoffs. That coveted promotion came the following season, and Bologna have been a Serie A side ever since. They’ve constantly battled against relegation and haven’t finished above 16th in the past three years, but veteran striker Marco Di Vaio’s goals (56 in 108 games) have helped keep them afloat. The Rossoblu are currently 17th in Serie A: one position and four points from the relegation zone. Stefano Pioli is the new manager, and the ex-Chievo man has claimed four points from four games since his October appointment. Watching Bologna can be a frustrating experience. They have some exciting attacking players, but it rarely comes together on the pitch. Di Vaio has recently overcome a six-month goal drought with three goals in his last five games, but his all-round play has been largely disappointing. 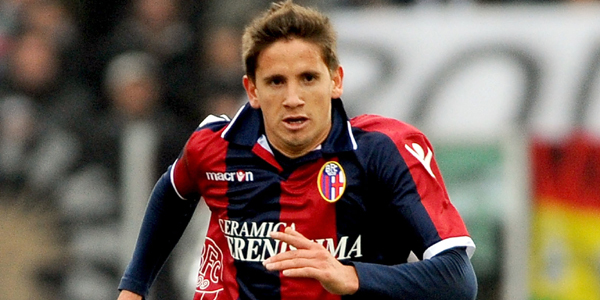 Gaston Ramirez, the 21-year-old Uruguayan, is Bologna’s most interesting prospect. Ramirez can play up front or out wide, but he’s played mostly as an attacking midfielder this term. He’s an excellent ball carrier who loves running at players, and his through-balls have already provided three assists from nine starts. Manchester City and Chelsea have reportedly been monitoring his progress, and it’s easy to see why. Ex-West Ham player Alessandro Diamanti is the other key man in attack. A player of unquestionable ability (check his cheeky back-heel assist against Siena last week), Diamanti’s Achilles heel has been his inconsistency. The trequartista rarely produces two good performances in a row, and must improve if he’s to be anything more than a luxury player for the relegation-threatened Rossoblu. Bologna are a counter-attacking side who are happy to concede possession and break with pace. This can make for some exciting moments as the Rossoblu plough down the flanks, but they’re more reactive than proactive. Bologna’s players lack the quality to control games and impose their will on opposing teams and their aggression has cost them numerous goals from set pieces this season. It’s not hard to build an argument for Bologna’s survival. Pioli’s Chievo boasted a very tight defence, and Bologna’s defence should improve if the manager can transfer his ideas to the Rossoblu’s ageing defenders. Di Vaio could do with a more reliable strike partner than Robert Acquafresca, but the Rossoblu definitely have the firepower to outscore the likes of Cesena and Lecce. Lets hope that this club of great tradition can escape the relegation battle sooner rather than later. Bologna FC – official website. I knew I had to research last season’s betting scandal from the moment I chose Atalanta as my next club to focus on. Atalanta were deducted six points for the start of this season because of their involvement, a lot of lower league Italian teams were implicated and Giuseppe Signori played a role. That’s literally everything I knew about what happened, so it was only right that I took the opportunity to expand my knowledge. Known as Calcioscommesse (“Operation Last Bet” or literally “football bet”), the 2011 betting scandal took place in Italy’s lower leagues and has thus resulted in far lower levels of infamy than Calciopoli. Calciocommesse operated on a far smaller scale than Calciopoli. In 2006, a large group of clubs contrived to manipulate Italian football’s infrastructure to their favour. The 2011 scandal alleges that smaller groups of individuals worked to illegally influence one-off results. The difference in scale doesn’t mean that Calcioscommesse isn’t important, though. Investigations are still underway, but 18 individuals and the same number of clubs have already faced sanctions for their suspected involvement. Calcioscommesse could yet have huge implications not just for Atalanta, but the multitude of cash-strapped lower-league sides that have already faced point deductions and fines. Doubt first arose when an unusually large number of bets were placed on SPAL beating hosts Cremonese 4-1 in a Lega Pro game last season. Lo and behold, SPAL won the game 4-1. 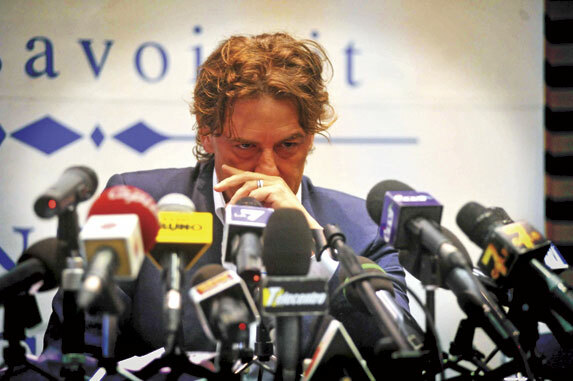 The FIGC and lawyer Guido Savaini immediately opened a case, thus spawning calcio’s second great scandal of the century. The bribing of players and clubs influenced the 2011 scandal, whereas Calciopoli’s conspirators focused on match officials. All of this is said to have gone through a Bologna-based group, and former Lazio hitman Signori is thought to have played a central role. As a player, Signori was idolised almost everywhere he went. His name, for me, is synonymous with Serie A’s glory years, and he scored an extraordinary amount of goals for Foggia (46 in 100), Lazio (117 in 152) and Bologna (70 in 142). A pacy goal-getter with a unique no-run penalty taking technique, Beppe was a joy to watch but his involvement in Calcioscommesse has sullied his reputation. It’s a huge shame that one of the best strikers of the ‘90’s may now be remembered mostly for a scandal and not the wonderful things he did as a player. It doesn’t look good for him. Signori was traced to a meeting with two Bologna businessmen, from which a document inscribed in Signori’s handwriting outlining conditions for a bet was recovered. The Ex-Azzurri hitman has protested his innocence ever since, but the evidence is extensive. The initial arrest order was over 600 pages long, and the wiretap operation was so big that it took almost a month for the prosecution to analyse the tapes. Marco Paolini was arrested as soon as Calcioscommesse came to light. Of the players involved, ex-Cremonese goalkeeper Marco Paoloni is said to be the ringleader. He first raised suspicion when a serious of overly eccentric early-season performances caught the eye. Paoloni was accused of directly fixing matches involving Cremonese and Benevento (for whom he signed in January), and worse. Cremonese were comfortably beating Paganese 2-0 in a Lega Pro clash, but five of their players mysteriously fell ill at half-time. The team pulled-off a minor miracle to hold-out and claim three points, but the illness was so bad that two were sent to hospital after the game and one Cremonese player crashed his car on the way home. Post-match drug tests confirmed that the players had been administered a sleeping drug, and an internal investigation suggested that the players were likely drugged at half time. Paoloni’s wife had been prescribed a batch of similar medication a day earlier, and it didn’t take long for the authorities to put two and two together. 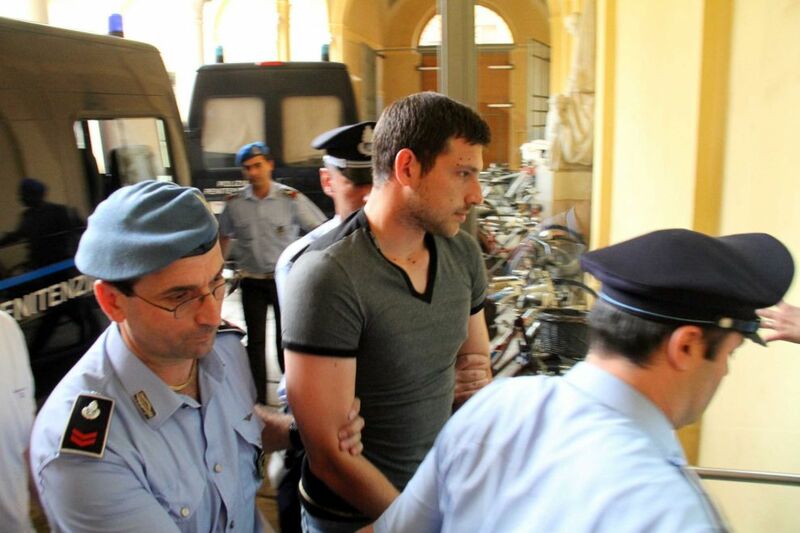 Paoloni was jailed under suspicion of match fixing and drugging his teammates, and has since been banned from all football activities for five years. 26 suspects were questioned in court. Many were pronounced “not guilty” (including Signori, but his reputation remains permanently tainted) and escaped criminal prosecution, but their bans remained. Five-year bands were handed to a further five individuals, were many others receieved shorter punishments (the shortest being 12-month bands for Antonio Ciriello and Salvatore Quadrini). Club-wise, it wasn’t just Cremonese and Benevento who came under suspicion. Serie B’s Ascoli were dealt with a six-point penalty and a hefty fine, Ravenna were relegated to Lega Pro Seconda Divisione (fourth-tier), Piacenza were fined and deducted four points and a host of other clubs (including ex-Scudetto winners Hellas Verona) were either fined or penalised via point deduction. Cremonese were deducted six points and fined €50k (a huge sum for a lower-level Italian side), while Benevento started this season on –9 points. Calcioscommesse isn’t an international incident like Calciopoli because it occurred outwith Serie A. I’m sure that’s why the conspirators focused on the likes of Cremonese and not Juventus, Milan etc. Operating at a lower level allowed them to fly under the radar and avoid the public eye, presumably making them harder to catch. Fortunately they were caught, and this whole mess has been cleaned-up. This was the last thing calcio needed in 2011. Football on the peninsula’s reputation had already been dealt a hammerblow by Calciopoli, and Calcioscommesse is a huge blow to the sport’s slow recovery. Lord knows how long this has set us back, but it won’t help dispel the droves of shallow-thinkers who already believe that every Italian game is a fix. That’s Calcioscommesse in a nutshell, but how has it affected Atalanta? The Nerazzurri were undoubtedly the most famous club to be punished, and it was initially thought that they’d be denied entry into Serie A, but this wasn’t the case. Three of Atalanta’s Serie B games came under scrutiny last season. Extraordinarily large bets were placed on their 1-1 draws with Ascoli and Padova, as well as their 3-0 win over Piacenza. Further evidence came from Ascoli’s Vittorio Micolucci, who claimed that Atalanta defender Thomas Manfredini had approached his squadmates to promote a mutally-beneficially draw, and further wiretap recordings. Atalanta started 2011-12 in Serie A but on –6 points, while captain, star player and club legend Cristiano Doni was banned from football for 3½ years. Aged 38, this ban, if not overturned, effectively ends Doni’s career. The Nerazzuri and Doni have both appealed their punishments and continue to trumpet their innocence. Miraculously, La Dea would’ve topped Serie A with 10 points after four games if it weren’t for the deduction. They’ve started the season excellently despite a widespread assumption that they’d struggle without Doni. In truth, Atalanta bought very well this summer and now have a good balance of grit and silk within their squad. Perhaps it’s not surprising that misfortune has rallied them. Italians thrive like no one else with their backs against the wall. An Azzurri squad branded the “worst Italy team ever” took home the 1982 World Cup, and the feat was repeated in 2006 just months after Calciopoli had come to light. Atalanta, bonded by the belief that they’ve done nothing wrong, are using that same grinta to great effect in 2011. There’s not enough evidence for me to credibly say whether Atalanta are guilty enough. Hopefully the appeal will clear that up. For now, I’m enjoying watching La Dea rise above the Calcioscommesse malaise. Theirs has been one of Serie A’s great stories this season, and long may it continue. “Lega Pro clubs pay the price for calcioscommese,” Charles Ducksbury, the Football Express. “Say it ain’t so Giuseppe…” Giancarlo Rinaldi. “Italian football rocked by fresh match-fixing scandal,” Paolo Bandini, the Guardian. “Atalanta keep their heads held high after summer match-fixing scandal,” Paolo Bandini, the Guardian.